Thom has been a frequent lecturer to numerous continuing legal education seminars put on by local bar organizations, the State Bar of Wisconsin, and the American Academy of Matrimonial Lawyers. Thom is married to Laurie, an occupational therapist. They have two children: Christopher S. (Natasha) Geyer, and Ashley C. (Elliott) Tritz. Thomas has been active in community development and is a Director and past President of the Platteville Area Industrial Development Corporation. 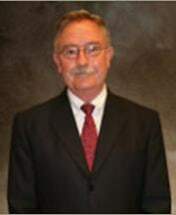 He founded, incorporated and was the Charter President of the Grant County Economic Development Corporation. Recently, Thomas was a member of the Board of Directors of the University of Wisconsin-Platteville Foundation (1992-1998). Thom is an avid Badger fan and is active in golf, cross-country skiing, biking, swimming and hiking.